During the summer we traveled to El Yunque National Park in Puerto Rico. It was a long over due family trip. We don’t live in Puerto Rico anymore, but it will forever be our home. We are originally from this beautiful island and love going back. For a while now we were taking our family vacations to tour around the States. I’m a huge airplane girl, but road trips are embedded in my heart. During road trips we get to stop often and wonder a new state at a time. But, Puerto Rico is a tour on its own and deserves our utmost attention. Some of our favorite parts are always its beautiful white beaches and the deliciously satisfying foods. You can’t travel without having food involved. Once you arrive at El Yunque you’ll find a tower with an amazing 360 degrees view of pure green foliage, bright blue sky and the sun over you as if giving you a warm and loving kiss. This is just the beginning. The beauty found in this national park is priceless. A little further down, is the hiking area. This is what this trip is all about. If you like to hike, if you enjoy taking walks around the neighborhood, or enjoy exercising then you’ll love this trip. After a 40-45 minute hike you end up in front of the most beautiful sight ever, a magical waterfall with huge rocks guarding a natural pool of the coolest and freshest water around. One of everyone’s first reaction is to strip down, jump right in and cool off. Trust me, I did it too! After a while of relaxing, enjoying the scenery and, even, taking some pictures; it was time to start the walk back up the trail. There’s just something magical about nature. The freshness in the air, the bright and beautiful colors, the tall trees showing off their foliage and age, the sounds of the singing birds and the chatting voices of those around you on the trail…it’s all magical. Enjoy the moment and take it all in! Finally, once your out of the trail and back to where you started, you’ll find a vendor with some good and exotic fresh drinks. Like mango juice, coconut water, and mango with pineapple smoothies. You can always bring with you snacks and water bottles to snacks on or leave in your car a cooler with lunch for when your back from the trail. Either way you decide to do it, know that you’ll need to fuel up after that hike. Have you been to Puerto Rico and to the Yunque National Forest? I highly recommended it, once it’s back to it’s potential and ready to receive visitors, go and check it out. I have never been to Puerto-rico but I hope that one day I will be able to visit it and it’s also good to be able to know where to go and what to see once there. This is such an amazing forest. I’ve never been to Puerto Rico before, but I always hear how wonderful it is. One day, I hope. The El Yunque National Park in Puerto Rico seems like a nice place to visit. It’s perfect as a weekend getaway with friends and family! Puerto Rico is on my bucketlist and hope to visit it one day for sure, I love road trips too but I love flying even more. Oh wow! 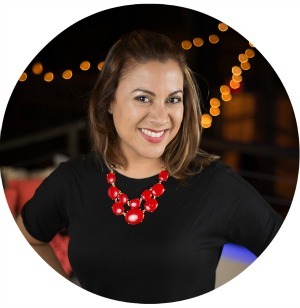 I have always wanted to go to Puerto Rico, but this post makes me even more excited to visit! I love the photos! Puerto Rico is on my to go visit list. Thanks for the recommendations. What a neat experience! I would love to visit some day! This sounds like a fun way to spend a day. I would love to try a glass of fresh mango juice! Your pics are beautiful but I wish I could go there in person to experience the scenery and views. Listening to the birds and having fresh juice would just add so much more. PR is so gorgeous, even just when you’re driving down the street! I wish I had checked out this forest! Puerto Rico sounds like such an amazing place to visit and how beautiful is this National Forest, it looks like a wonderful place to explore. I have never been, but it looks gorgeous!! Puerto Rico is definitely on my bucket list! I never been to Puerto Rico before but I’ve always wanted to go. It’s such a beautiful place with a rich culture. It’s always nice going back to a place you once lived. 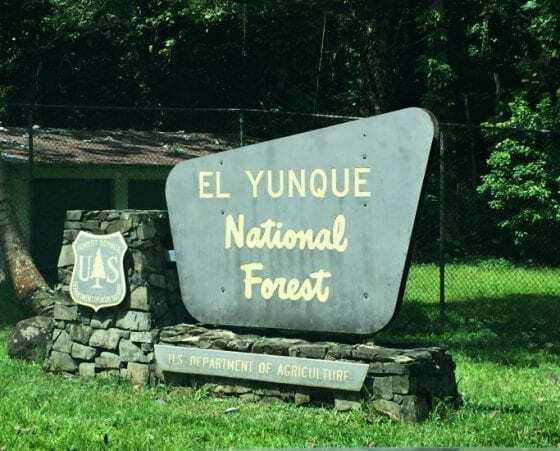 I have never been there yet and I wish to get a chance to check out the Yunque National Forest in Puerto Rico as well. I got to do this many years ago. I am so glad its still beautiful. Many blessings to the people of Puerto Rico– they were so kind to us on our visit. I have always wanted to go to Puerto Rico, but your post and pictures made me want to go sooner! Loved it! What a beautiful forest! I totally want to go to Puerto Rico now. Puerto Rico is a beautiful country. I hope to visit it someday. Wow. El Yunque looks amazing despite all Puerto Rico went through. I’d love to see this in person. El Yunque looks like an amazing place to visit in Puerto Rico. Would love to vacation there its on my bucket list. The words and pictures took me to this beautiful place. We have a similar waterfall in Mussoorie as well. I love going to Natural Parks. 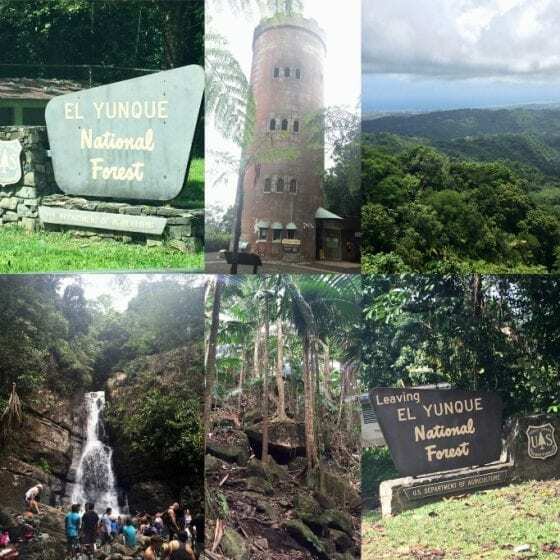 THe El Yunque National Forest is indeed beautiful – I love everythiing esp the falls and the breathtaking overlooking view. Puerto Rico is definitely renew its beauty. I’ve never thought about visiting Puerto Rico but now you have put it on my list! The hiking trails sound great and the view look lovely. I’m intrigued – what is a typical dish from there? I have never been to Puerto Rico but I think I would love it there! I am adding to my reading list! I have never been to Puerto Rico. It looks beautiful and I would definitely add it to my bucket list. I would love a chance to go there. I love seeing national forests. That would be such a fun trip. I have always wanted to go to Puerto Rico. I have ALWAYS wanted to go to Puerto Rico. I hope I get to go someday. The greenery is so abundant and pretty, I love the photos! 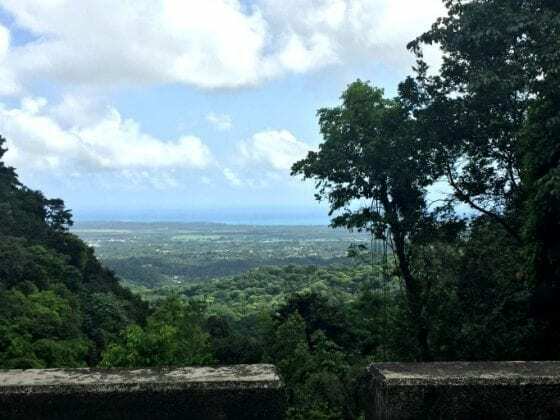 Oh wow how beautiful is the view from el yunque! I’d love to be able to visit Puerto Rico next year but definitely need to save up for it. Puerto Rico is definitely on my travel bucket list. This looks like such an amazing trip! Wow that forest is unreal! I would really love to visit there someday, I’ve seen many posts about this place! So beautiful! Love the photos! Places like this make you appreciate nature more. I love the sights that you come across with while hiking in the area! I don’t really see a lot of posts or photos of Puerto Rico so I’m glad I found this post. I always go to national parks and forests when I travel and I wanted to see what this one looks like. It’s just beautiful. I know that Puerto Rico is very beautiful. And it’s on my bucket list of places to go. I was so sad to see how hard it was hit with the hurricanes in a row this past year. I am sure it will be able to recover from this and I hope soon. This looks like a great place to visit. Puerto Rico is so very beautiful. I would love to visit one day. This is the first time I am hearing about the El Yunque National Park and I’ve been obviously missing a lot. I am adding this park to my bucket list when going to Puerto Rico! Coming in close to Nature has its own blessings. Wonderful post.